Memory bricks are for all of your pets, past and present. You may also put a Memory Brick in the name of your business. We have a special business brick available too. Instead of having all the Memory Bricks clustered together, these would be placed throughout the walk way with spacing of many regular bricks that make up the sidewalk. This will make it easier to find, read and appreciate your special Memory Brick. Should you not feel comfortable doing the transaction on the internet (using Paypal or sending a check), we will also be able to send you hard copy forms you can fill out and return to make your purchase. Just contact us via phone or email and we will mail that out to you. The Diggity Dog Daycare Memory Brick and Walk of Fame project is a fundraiser for the construction of the new facility. 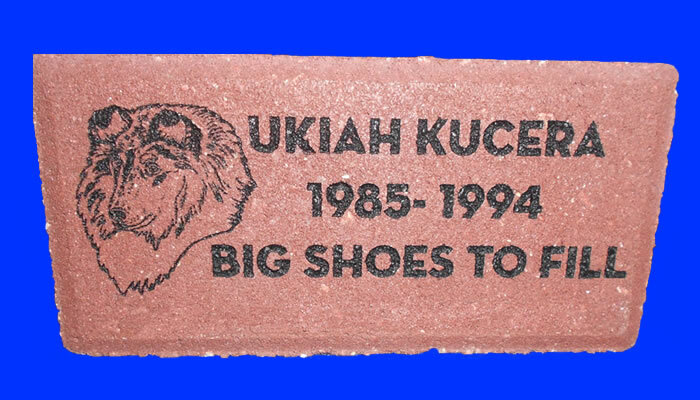 Costs are based with consideration to the cost of the Memory Brick/Engraving/Shipping as well as costs associated with the additional sidewalk construction, bricks, materials and labor.